The set also includes a beech mallet. 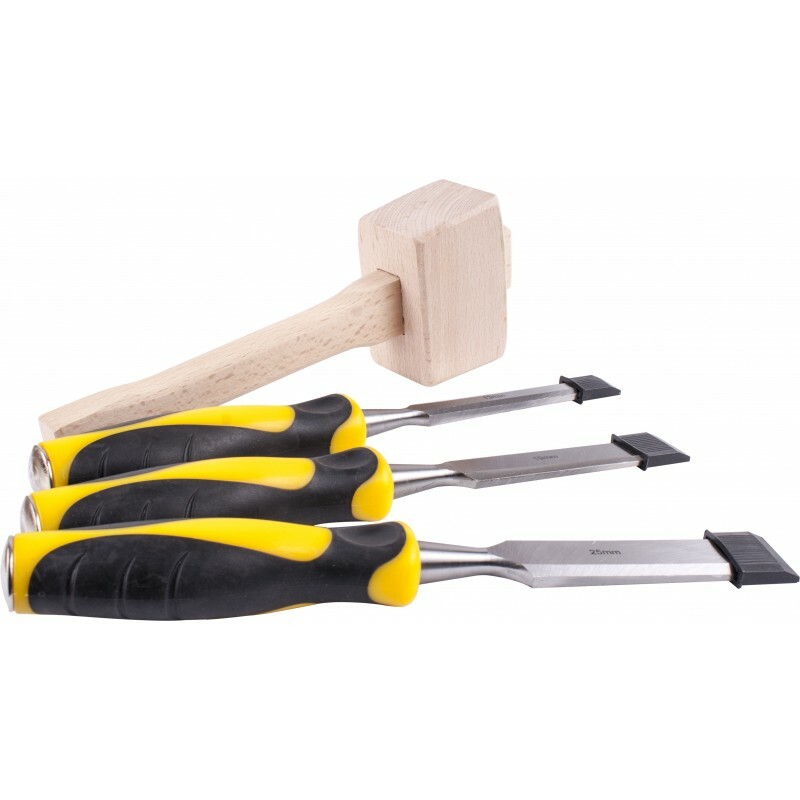 The chisels in the set are reinforced to be used with the supplied mallet. 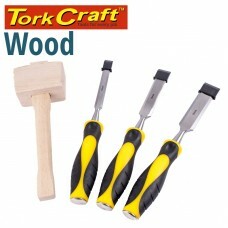 It is mostly used in the carpenter and cabinet making industry. The chisels are commonly refered to as bevel edge chisels and are used to square off round ends when a hinge or strike plate is installed in a door. It is also useful when making a mortise and tenon joint. The chisels have a standard 30° acute angled bevel. A secondary 35° bevel can be made afterwards, depending on the wood and how the chisels are being used. The chisels can be sharpened with an oil or a diamond whetstone. We recommend using the DMT® range of diamond whetstones.